Agnetha’s new album A will be released on 10 May 2013. The single ‘When You Really Loved Someone’ is available TODAY (Monday) when you pre-order the album on iTunes. No news of availablility on CD or other download platforms as yet. Also expected at 10.00 am GMT Monday a new website at www.agnetha.com or www.agnetha.co.uk. What’s the story with Agnetha’s new album? Ever since the news broke in October last year that Agnetha was in the studio making a new album there have been endless rumours, leaks, misinformation and confusion, but not much actual news and no official announcements. In mid February several new photographs of Agnetha surfaced, and were quickly shared everywhere. Eventually they were tracked back to several posts on the Pop Justice Forum, but no official source has been identified. The photos were taken at Ulriksdals Slottsteater in Solna, just north of Stockholm. 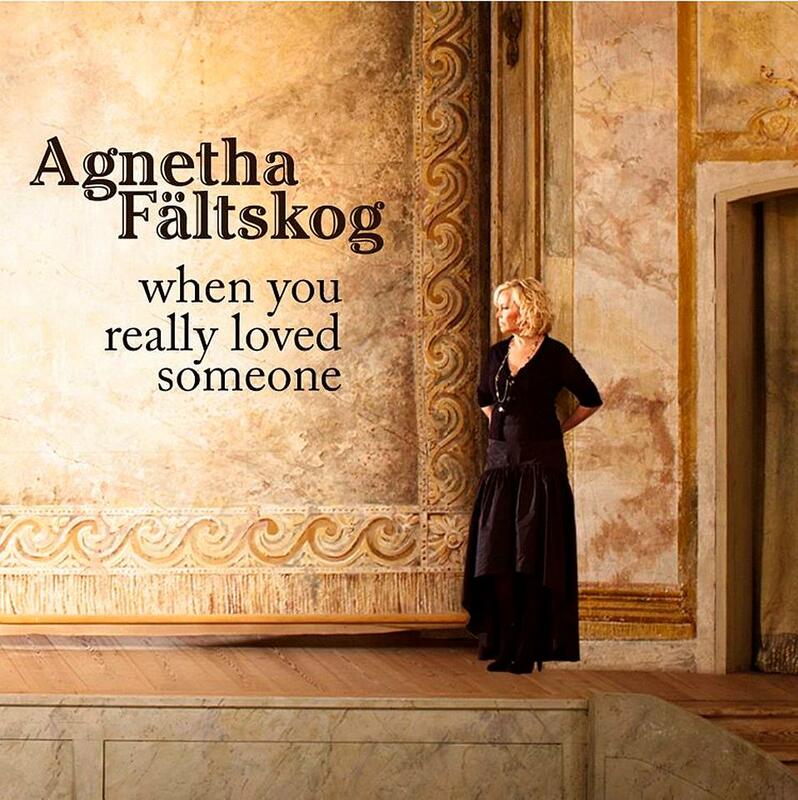 Last Monday (March 4th) a link appeared on Amazon.com’s MP3 store for a new Agnetha single, ‘When You Really Loved Someone’, for release on Monday March 11. The image above right was shown as the single cover. After a rush of initial excitement many fans debunked the photo, claiming that it was obviously photoshopped, Agnetha looked keyed in, the lighting and shadows were wrong, the grammar of the title was clunky, the lettering was not professionally laid out, etc etc. A general conclusion was that it was an “elaborate hoax”. Yet the title has been proven with a listing on the BMI (Broadcast Music International) website, and on the CV for filmmaker Matt Mead, listed as 3rd Assistant Director on the video (since removed). Aftonbladet checked with Agnetha’s spokesman Staffan Lindé, who simply said to contact Universal Music. Tanja Määtä of Universal Music responded “We can not comment on that”. By Tuesday the page was removed from Amazon. Then on Friday a 30 second sample appeared on the AllMusic site, again showing the single image above. 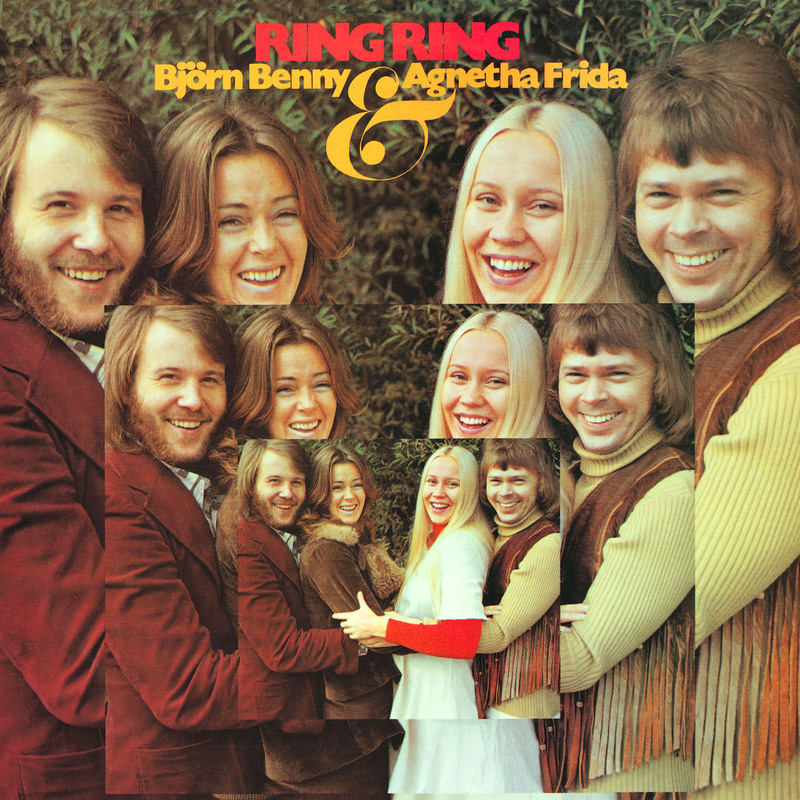 The sample clearly showed Agnetha’s voice, though the title ‘When You Really Loved Someone’ never appeared, giving rise to a theory that this was another song. Again, within hours the page was removed. On Friday afternoon (Australian time) Noise11 checked the story with Universal Music (presumably the Australian office). The response was that “the album was on their schedule for a TBA (to be announced) release date but that it has since been removed”. There were also indications that the AllMusic sample was not a finished recording. Meanwhile, Universal Music Sweden responded to a fan’s question on Facebook that there would be “exciting news” next week. ABBA Intermezzo Fan Club also reports that they will have “confirmed news” on Monday 11th. Personally, I believe that the cover and song that appeared on Amazon and AllMusic are genuine, but were preemptively uploaded. Had the Amazon listing been an outsider’s store, it would have seemed dubious. But it was listed in Amazon’s own MP3 service, which would presumably be difficult to hoax. Yes, the apparently single cover looks photoshopped, but so does every album cover and publicity photo these days. It could have been to fix colouring or lighting, it could have been for an artistic effect. It would seem that whatever publicity isn’t ready, or perhaps there will be no pre-publicity, and the songs will just be released to the world. Though the lead up to My Colouring Book in 2004 got a lot of media attention, that didn’t translate to sales outside of Sweden. So there may be a feeling that it’s not worth expending any money on publicity. It could also be dependant on Agnetha’s participation in any publicity. This week’s events have proved that word of mouth gets the story out just as quickly, with major news outlets reporting both the Amazon and AllMusic posts. All these leaks then retractions, and a lack of definite denials, hint that things are ready but not quite ready for the public. I expect that we will get some form of official announcement this coming week, if not the single itself. We’ll see what happens in the next few days.